When you think about Unreal Engine 4, the newest, shiniest game engine, you probably think about games that will require you to buy a new graphics card, not something that can run in your browser. But UE4 is built for both. 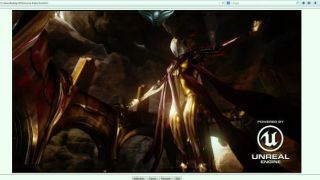 Epic Games and Mozilla recently showed Epic Soul, a UE4 demo, running in Firefox at near-native speeds without plugins. Epic and Mozilla will be at GDC 2014 next week, giving talks and demoing asm.js and other web technologies.